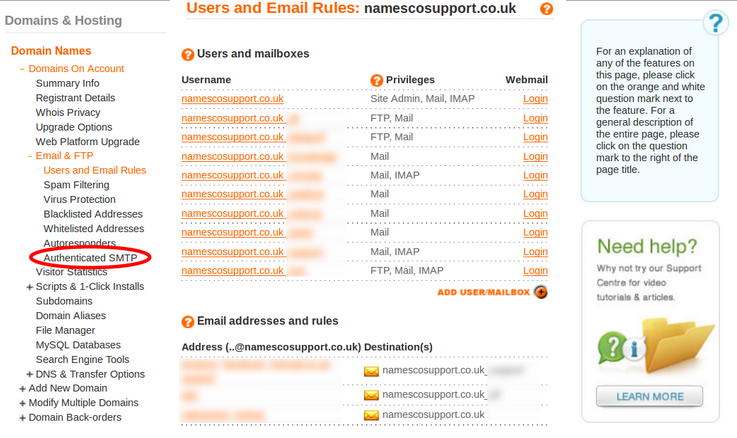 Once logged in to your Control Panel dashboard, click on the Email Settings menu and select Users and Email Rules option. 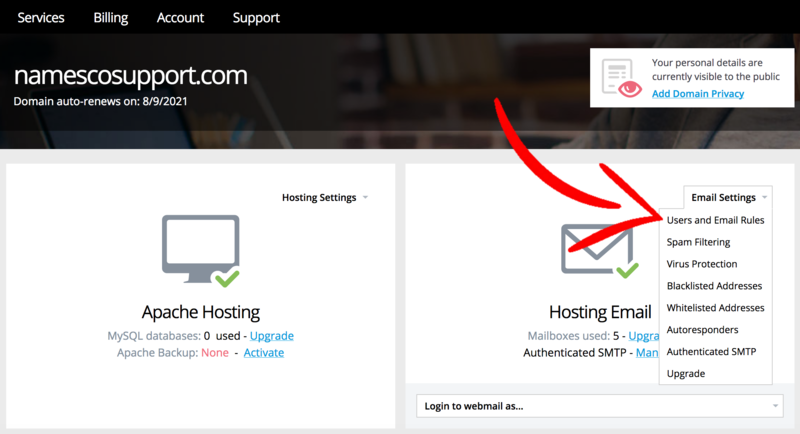 Click the Authenticated SMTP again in the left hand column. 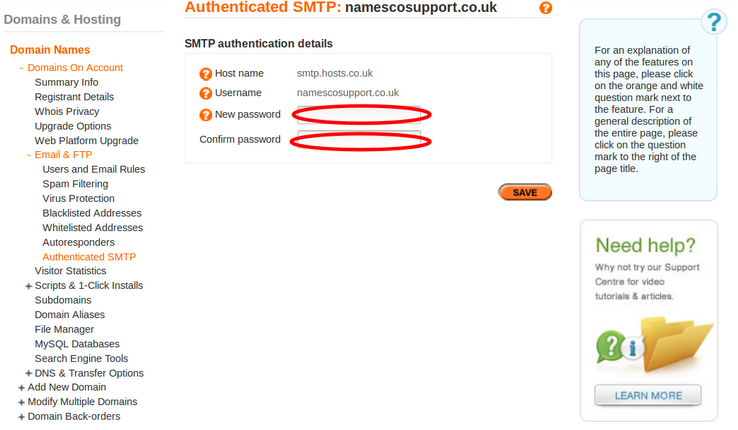 Enter a New password and Confirm password, then click Save once you have finished.